After a little faltering on Day 1 of my 3 Day DIY Blueprint Cleanse, I awoke on Day 2 with renewed resolve. I truly had a clear head and didn’t feel hungry in the least. My Pilates Turbo Reformer class in the morning was a breeze and a new favorite juice was discovered: Pineapple, Pear and Ginger. True, I might have been thinking of how amazing this particular juice will taste mixed with rum this summer, but it’s still fantastic on it’s own. 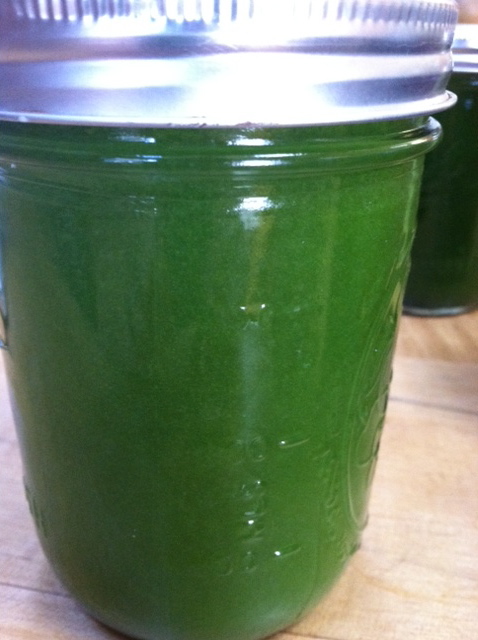 Another discovery today: the green juice really, really needs lemon to make it palatable. Not too much or the tang will be overwhelming, but if you leave it out it just has a somewhat slimy mouth feel. The taste is still (strangely) good, but the slipperiness is tough to take. 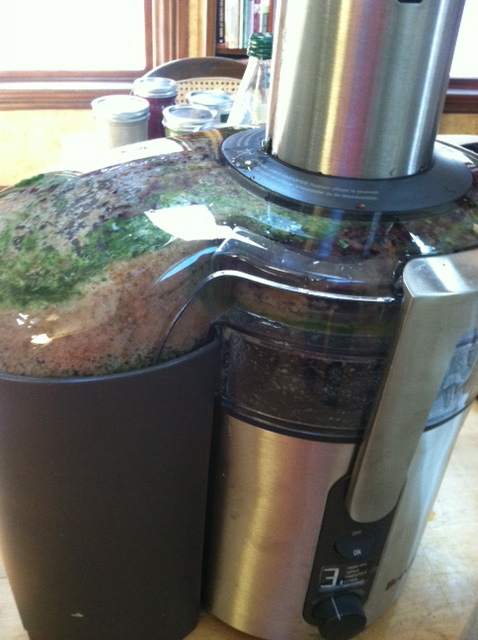 As both my husband and I were on the Cleanse, there was a lot of juicing going on. Due to work constraints and time restrictions, juicing for today consisted of enough for Days 2 and 3 for the both of us. 2 hours and 2 trips to the grocery store due to a miscalculation on my part and we’d had about enough of the juicer. Speaking of the juicer; the Breville Ikon turned out to be a stellar choice. Easy to assemble and disassemble, easy to clean and relatively compact it has fit into our lives very nicely. As on Day 1, the cashew milk felt like a reward of sorts for my dedication during the day. The fact that there was only one more day to get through before I could eat solid food again didn’t hurt either. I can do anything for one measly day. Thanks! Loving my Breville juicer!